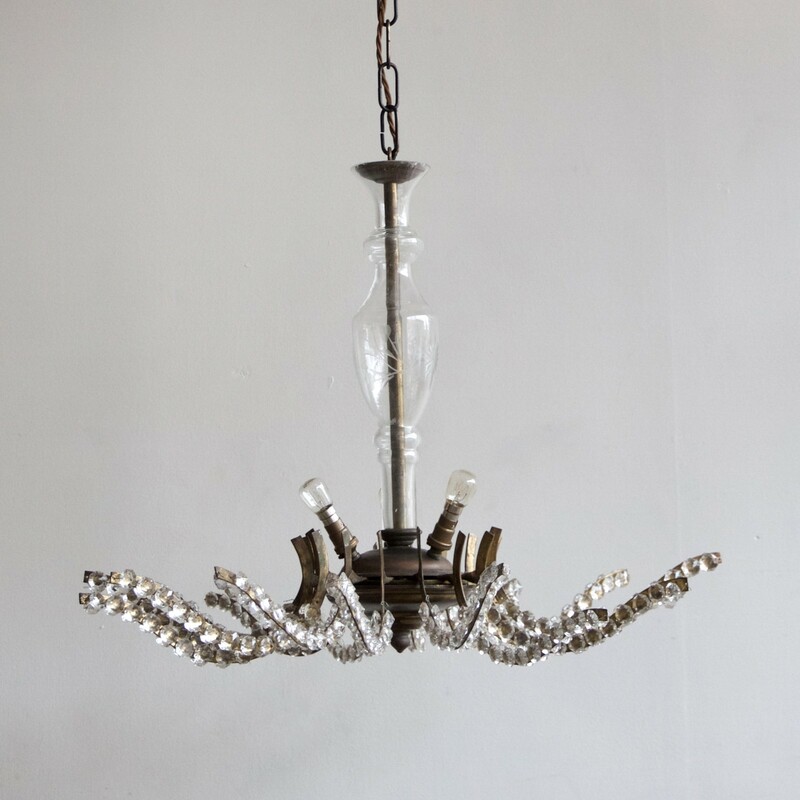 French multi-arm chandelier with etched glass stem and glass buttons. Chandelier uses three SBC, B15 fittings. Supplied with chain and ceiling rose.